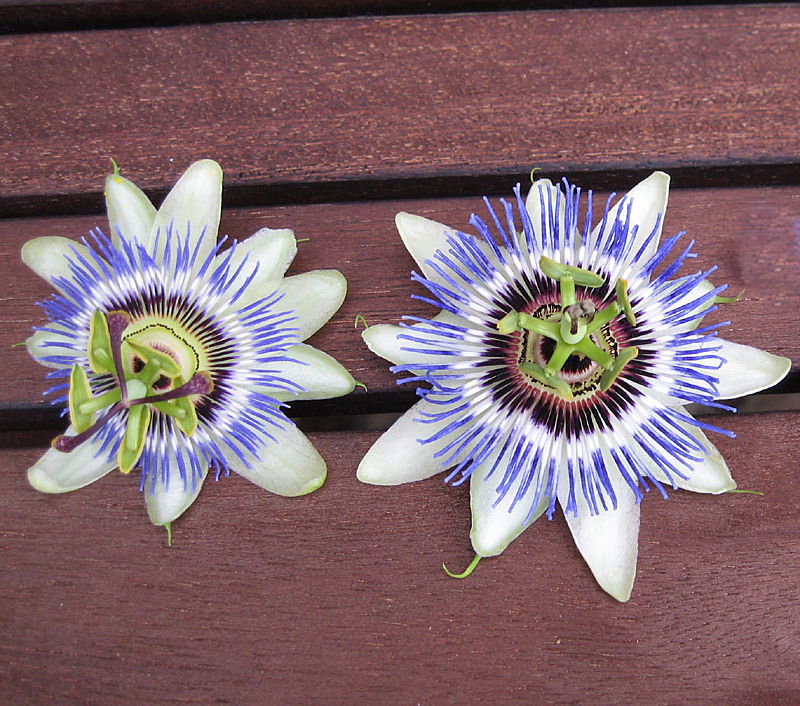 Passiflora ‘Clear Sky’ is Dr Roland Fischer’s stunning tetraploid species selection of P. caerulea created in 2001. 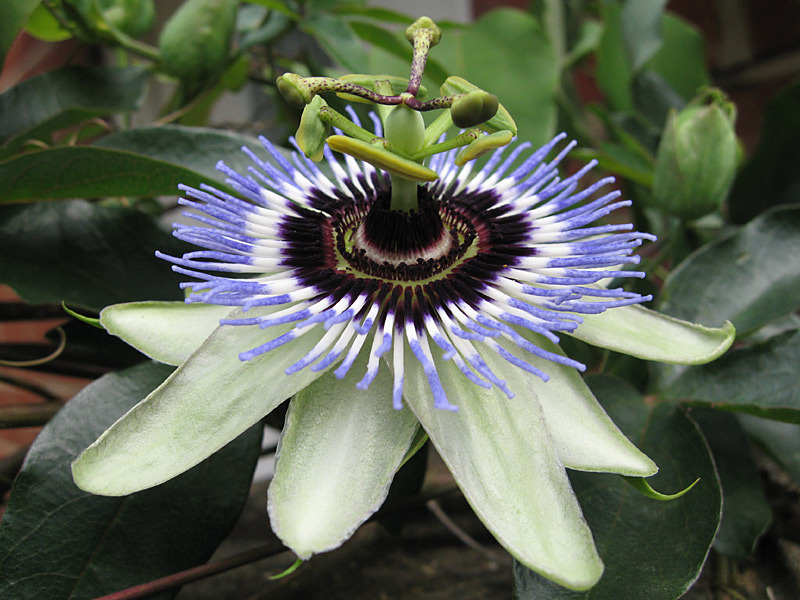 It is very vigorous & is best grown in full sun with larger flowers & fuller leaf lobes than the diploid caerulea. Sold widely in Europe under Plant Variety Rights.. 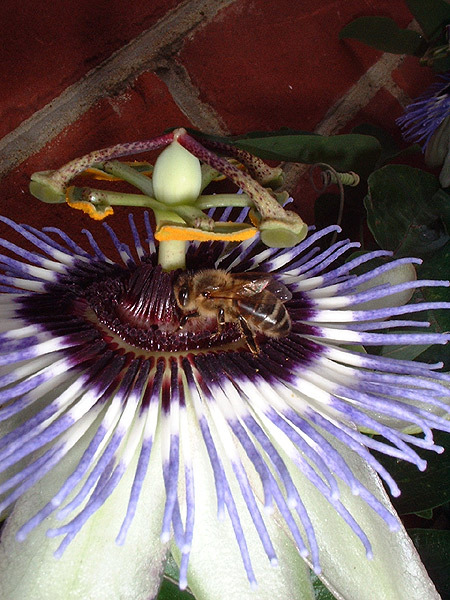 Depending on its growing conditions its flowers will be larger than diploid ones e.g. up to 11cm width compared with a maximum of 9.5cm for diploid. They are also usually more striking in colour (but variable) & strength of coronal filaments but appear to reflex a little less & have less perfume. The leaves are not always longer but are stronger and thicker with greater width to the lobes as seen above, with older ones having a leathery appearance. ”When I decided to breed a tetraploid caerulea, I started with normal caerulea seedlings and treated them I the lab and got primary tets. One of the primary caerulea tets is still around in Europe, it is P. caerulea ‘Emil Kugler’. I crossed them with each other and with a primary imbalanced allopolyploid from amethystina and caerulea and crossed it back to a secondary caerulea tet. Hybrid seed as well as species seed can be treated. P. ‘Byron Beauty’ by Dr. Robert Knight is an example of this. 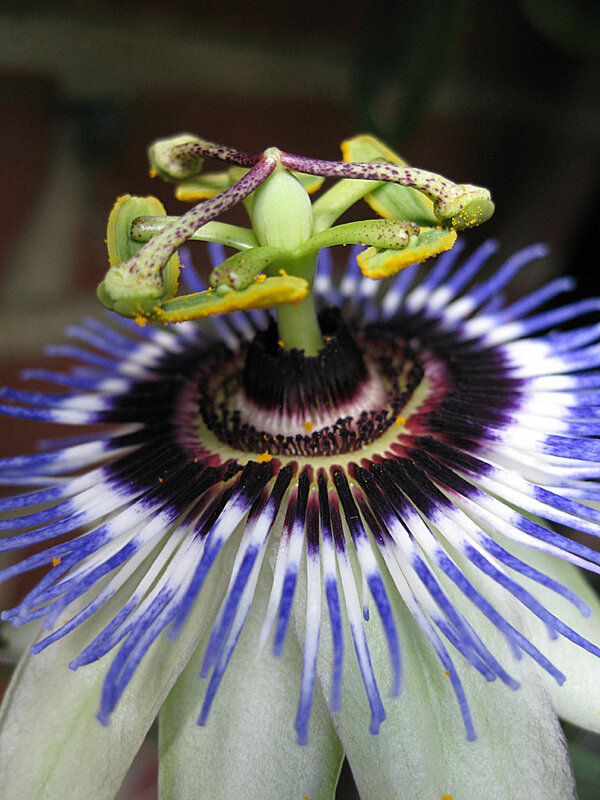 For more information on tetraploids & how they are created see Passiflora Polyploidy.